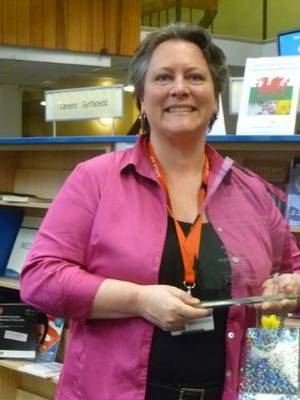 Celebrating Swansea University Authors was a project run by Swansea University Library staff during the end of 2011. The aim of the project was to create a way for promoting the books Swansea University academic staff have published to current undergraduate and postgraduate students and in turn to the wider academic population at Swansea University and beyond. It also aimed to encourage students and new researchers to publish their own work by describing the research and publishing process. The project involved creating 10 short promotional videos of between 3-5mins in length where academic staff at Swansea University describe the research they had undertaken whilst writing their books and the path they undertook to become researchers. The videos were then hosted on the internal University teaching video channel E-Stream as well as on a You Tube channel created specifically for this project. Swansea University won the Higher Education category. There must be something in the water in Swansea! Again a first place for a very creative campaign and one that has a clear focus and is very well executed. OK- it’s not all praise: the objectives lack SMART features and the budget was a little high (perhaps – especially for the posters) – as most of the best aspects appears to have been free to develop (you tube etc.). Creative use of the available technology and very clever use of the partnerships here (i.e: Academic Staff). As I said last year about the Swansea entry: ‘This type of offer demonstrates a clear understanding of the needs of the user and is fully sustainable and replicable’ and this is true for the 2011 entry. One last comment – the use of QR codes works really well with the target audience and illustrates user insight really well.